At Plumber Fairview it doesn’t matter if it’s a burst pipe, leaking radiator or blocked drain, we can fix it. Whatever the issue we have the solutions to all your plumbing problems. Our team are on call 24 hours a day, 365 days a year to cover any plumbing emergencies. All of our Fairview plumbers are all fully qualified and R.G.I. registered. In emergency situations we can guarantee that we can be at your door within an hour, usually a lot quicker to help with all those unexpected problems. The highest standards and all of our work guaranteed by plumber Fairview. For your peace of mind all of our work is covered by our plumber Fairview guarantee. As a large company we are also fully covered by our public and professional indemnity insurance. All of our team take pride in providing the best quality workmanship in the county. We are ultra reliable and professional. We always ensure the highest standard of customer service for our customers. This is part of our continued success our clients return to us. We know we provide the highest quality and standards of any plumbing and heating company in Dublin. All of our team are fully qualified in all areas of the trade, so no job is too big or too small for them to handle. At Plumber Fairview we provide a complete range of services covering all general plumbing work. • 24 hour emergency plumbing service. • Boiler repair, maintenance and installation. • Boiler servicing conducted by a R.G.I. certified engineer. • Drain Unblocking. We use a jet flush system or drain rods and plumbers snakes. • Pipe repairs & modifications, all leaking pipes repaired. • A 24 hour emergency plumber Fairview call out service. • Installation and repair of central heating systems and repairs. • Installation of all gas appliances. • Gas pipe repair and replacement. • Complete bathroom renovations and kitchen installations. We pride ourselves on our transparency and operate our business as openly as possible. We always offer our clients the best possible price and plumbing services available. Our honest approach has been the foundations upon which our reputation has been built over the past 3 decades in Dublin. Our plumbers do not charge for call outs. We never add on underhand fees such as time to get parts or traveling time. We are always happy to provide free unbiased professional advice. If you would like a free no obligation quote, just call. 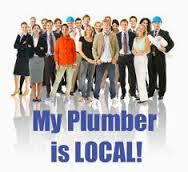 For any of the above services provided by your local Plumber in Fairview call us today on 01-2844921.